We have yet to tell the story of how we wound up flying on a beach in Dubai with Ben Merrell and his friends. At the end of last summer, right at the end of July, we announced that the Jetblade was ready and we started to ship the boards. 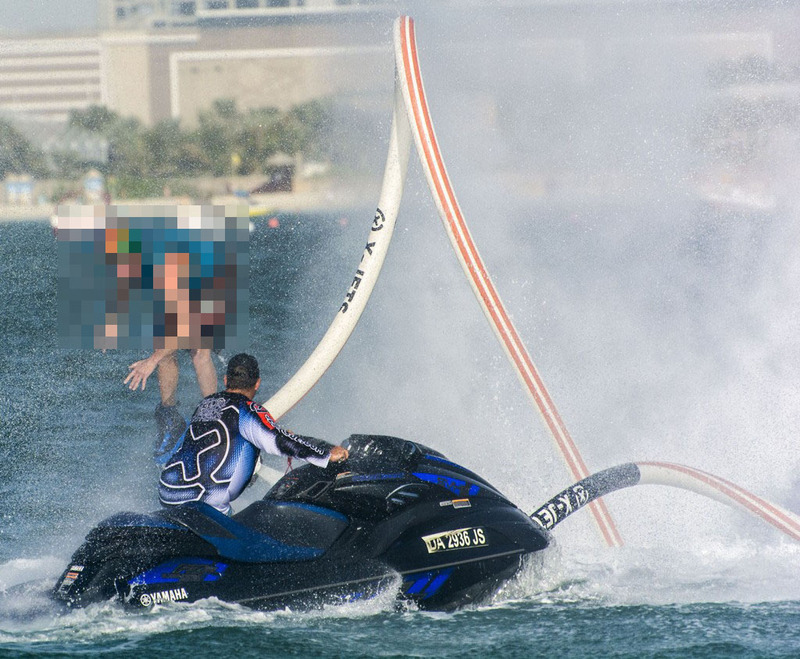 At the time we had no familiarity with the workings of the tight Flyboard circle and the carefully stage managed turmoil that was contained within. We got into contact with Ben Merrell and he was interested in trying the board, at the same time, he and Jeff Elkins had announced their new wireless throttle project. 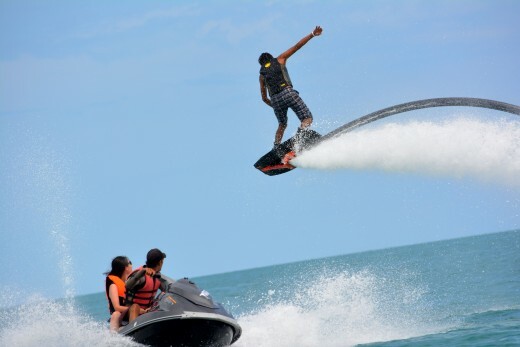 Essentially they had been “excommunicated” (a term that we would hear over and over from all kinds of affiliates) from the “Flyboard Family”, he had the option to try something new, the Jetblade was a perfect fit. Ben got on the Jetblade and immediately began to explore its potential in a way that no one else had. He was killing it on the Jetblade with new tricks and the freedom to move faster and easier than he had on his Flyboard. He posted on YouTube the first video shot by Randy Borrell on September 15, 2014. ka-boom. You went full plastic, man. You went full plastic man. Never go full plastic. Plastic jetpacks as they are meant to be. Fisher Price’s Jetpack Mickey. Every one of our units ships world-wide in custom built plywood and steel crates. 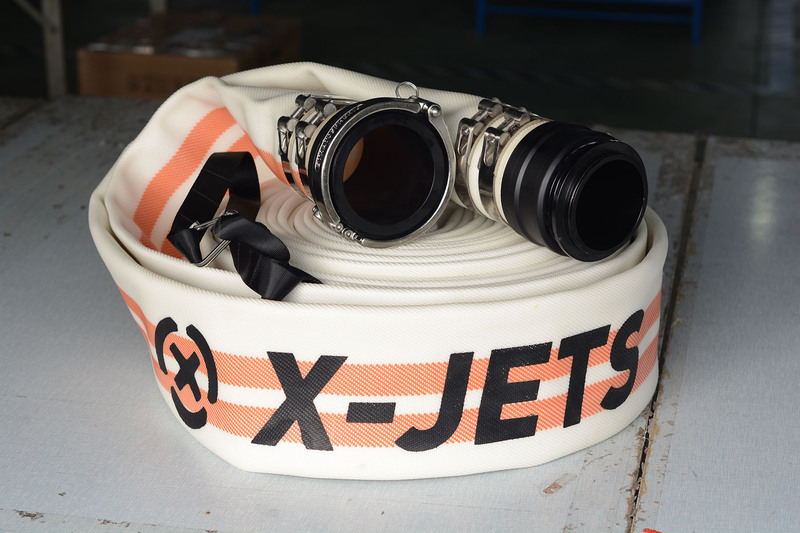 We go the extra step to make sure that the best built hydro flight gear in the world, arrives to you the way it is supposed to, ready to fly. 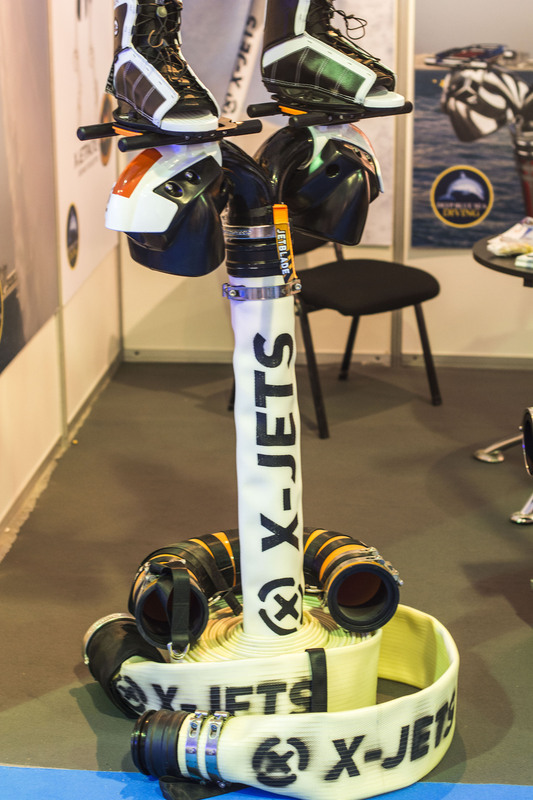 Order today and your X-Jetpack NX, Jetblade, or X Hydro Power System will be picked up, put on a plane and delivered to your door, in one piece. Why do we go to such lengths to protect your gear? Because we care about what we make, and we make it the best we can, right down to the box it comes in. We came to play, and we brought better toys. Around the time in February when Ben and Jeff visited Shanghai, X came up with what we thought was a winning slogan. “We came to play, and we brought better toys.” X had raised the level of hydro jetboarding up by improving the equipment and quality, putting the industry leader on the defensive. We thought that the term toys was cool because the super yachts industry uses the term “toys” to describe everything that gets stacked into the floating multi-million dollar playgrounds. All good right? Cool high tech toys, just like Seabobs. Then someone announced a plastic product to the market, with all the characteristics of a literal toy. Suddenly it felt kind of painful to degrade our equipment with a name like “toy”, even for fun. Our gear wasn’t a “better toy”, it was sport gear. We decided to put some distance in between X and the others. X takes this sport and its future seriously. What we make is sport equipment, real gear for a real sport. The light came on, the contrast is clear, we will not refer to our equipment again as toys. The “We came to play” slogan is officially retired. Carbon concept Jetblade from the design lab inside Stratospheric Industries. Not in production, this is a design study of a reality based concept, a so called “concept car”, a springboard for discussions with top level riders. X wants to gauge the reaction from the target market and get feedback from the users of our boards. The brief: design the ultimate competition machine with no compromises, a state of the art hydro jetboard. Don’t let the title mislead you, this is another awesome video from Ben Merrell! Maybe the future of hydro sport is some kind of biathlon type event. “Playing” around is the biggest inventor for what happens next. Great work Ben! X builds the biggest throat, cleanest flow venturis in the field. To download as a poster sized print file click here. Want to try out the new X Sleeve on your existing setup? If you have ordered an X-Sleeve from us or if you have secured a section of a double walled section of your own, here are the installation instructions to get you going. Sometimes the innovations are a simple solution instead of a complex one. The issue at hand, securing the hose connection to the front of the ski. Metal clips can bend or distort under the high loads and cause impact damage to the front of the jet ski with hard use. Working of the suggestion of one of the athletes, we settled on a nice simple solution that offers the flexibility and ease of use that fits the task. The knot. Ben shaking off the jet lag and getting a feel for it with the first run in Dubai. 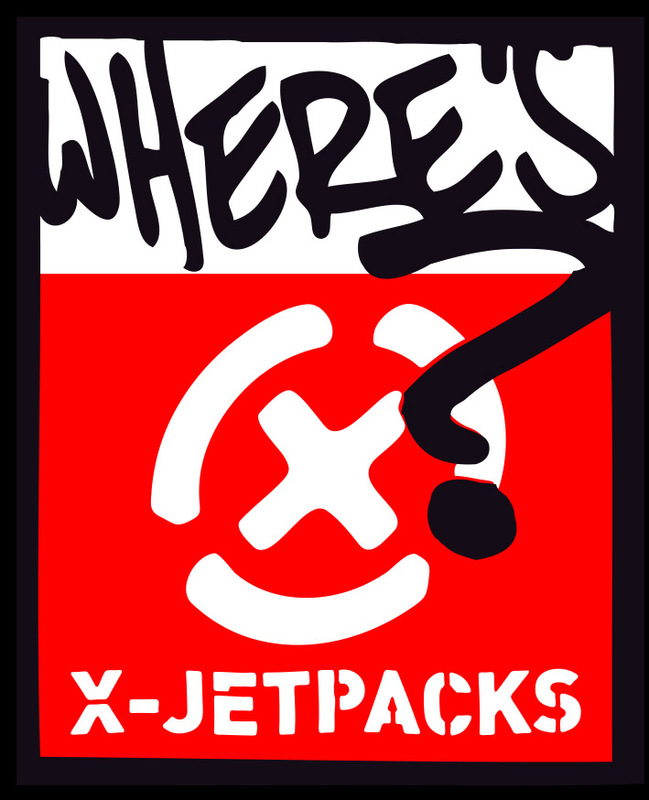 There are places in the world where X-Jetpacks, the big brother of the Jetblade, are hard to find. For those locations, in the long standing tradition of parody and satire, we have printed these free stickers for giveaways. Enjoy. For stickers, contact us and we will send you a few for free. For the best jetpacks in the world, we will set you up there as well, for a reasonable price. 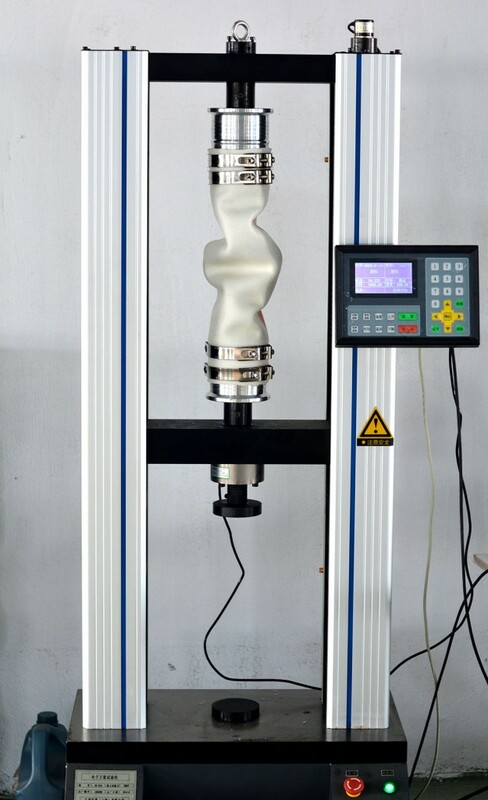 This is our in-house tensile testing machine. Like a nearly unstoppable force, it pulls things apart and measures the force required to do so. Strato clamped in our new LeMans hose and gave it a go. At 2.5 tons of force, the 316 clamps slowly stretched over the barbs, the hose did not even blink. Next time we’ll put twice as many clamps on and see what we get. 2.5 tons the hose is a tight as a drum but nowhere near breaking. Still we want to see what it take to rippy a LeMans hose up. Then we will compare it to the red standard.